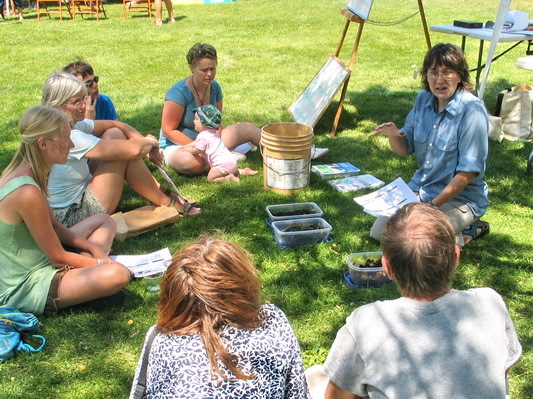 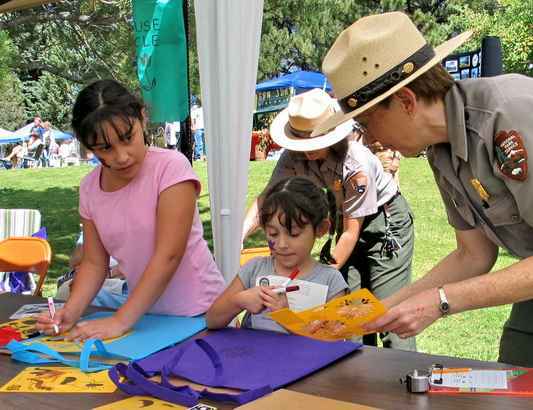 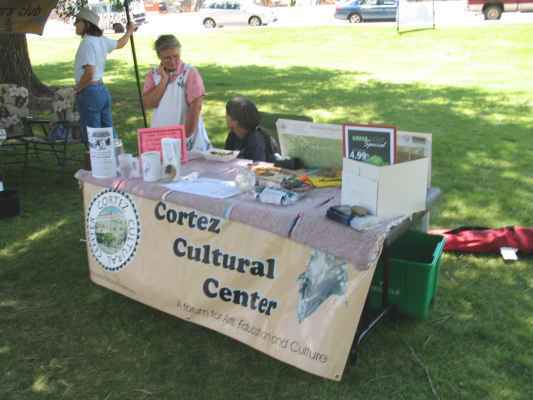 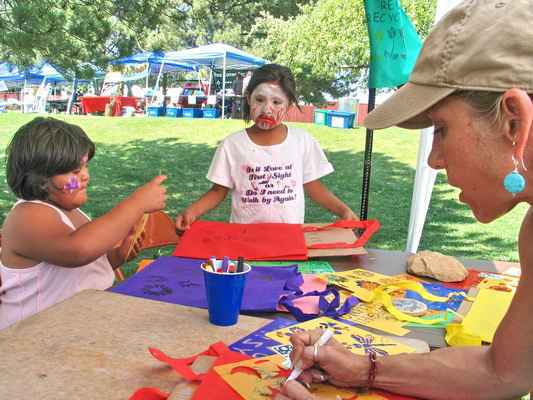 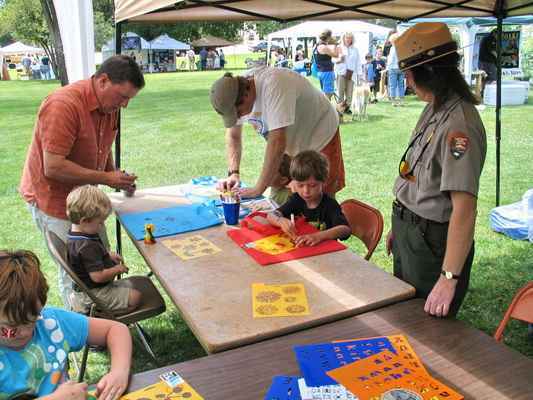 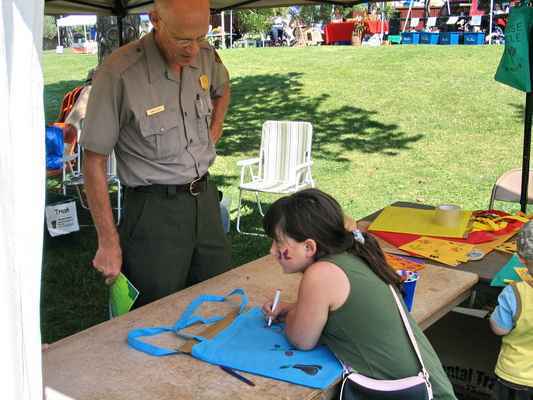 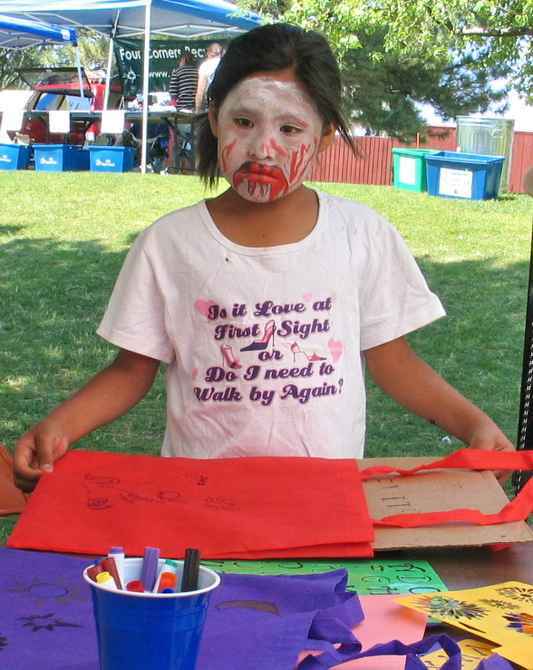 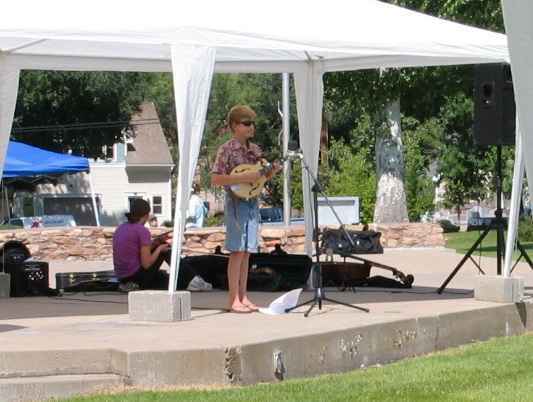 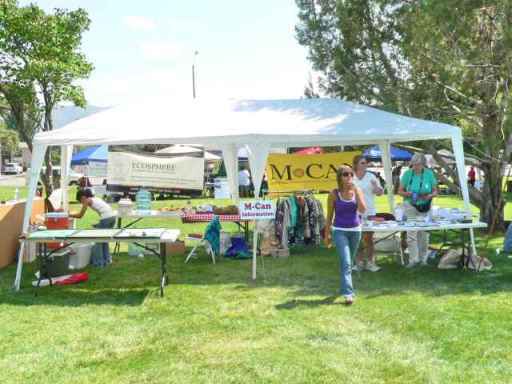 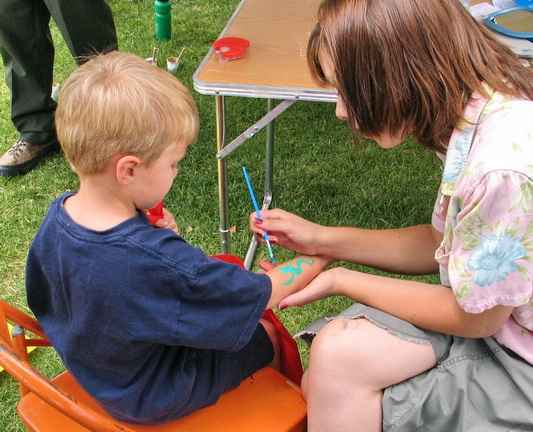 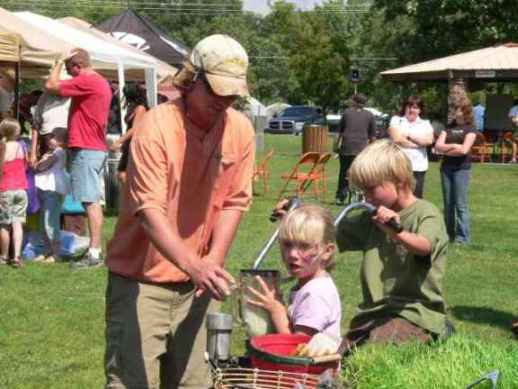 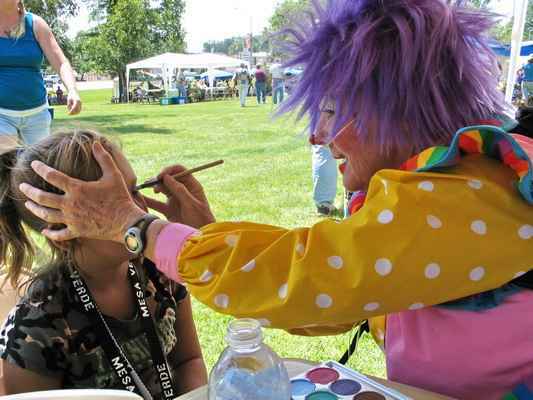 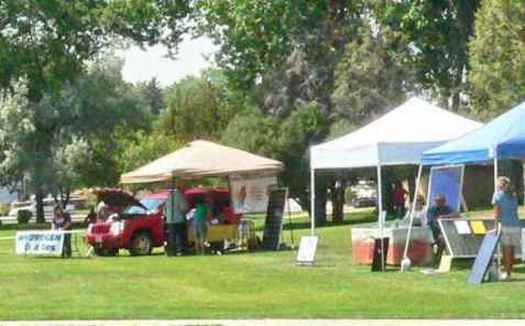 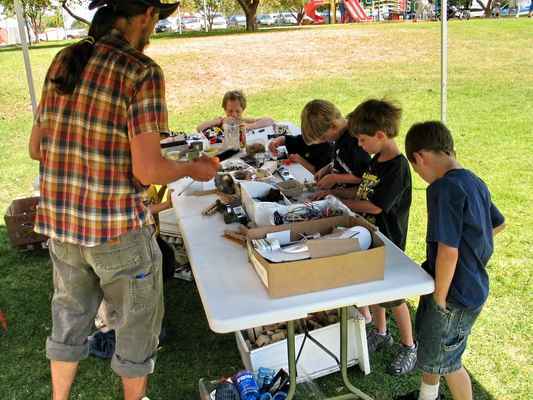 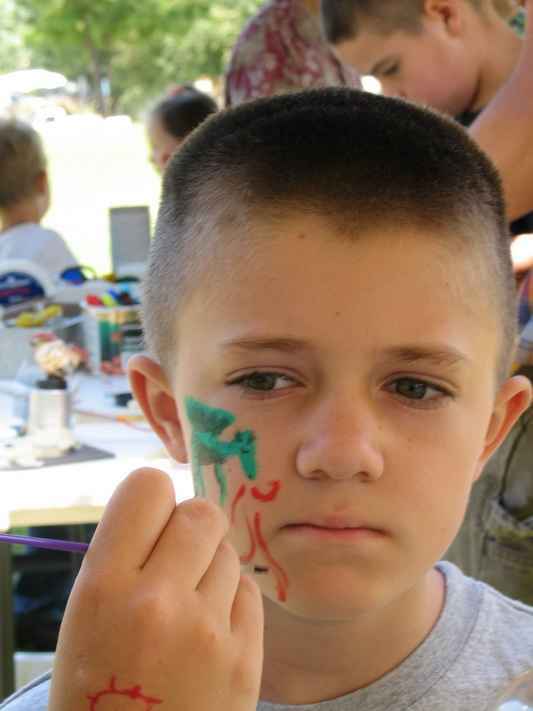 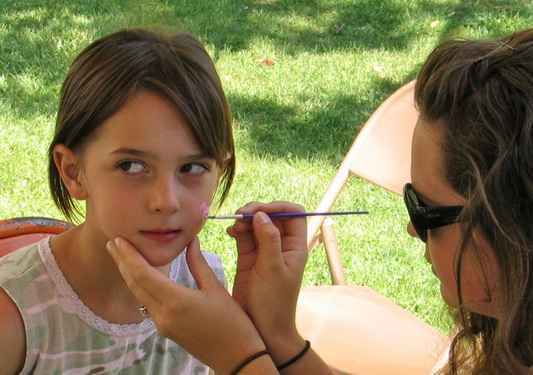 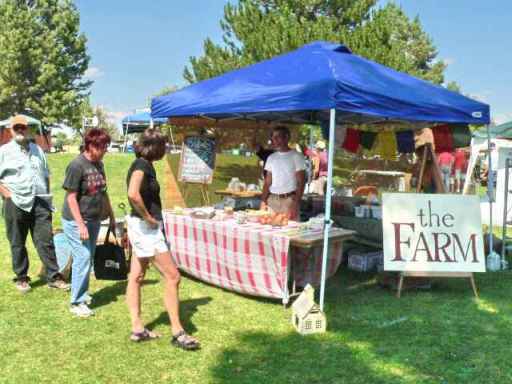 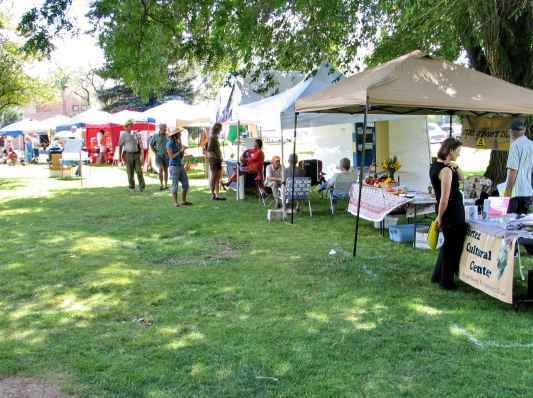 2009 was the first year that M-CAN organized the Verde Fest and the first year it was held in the Cortez City Park. 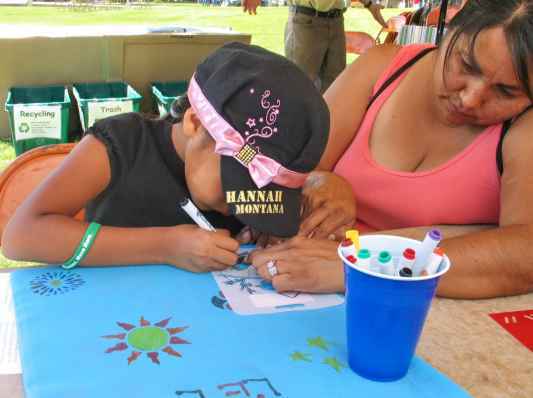 Everyone had Great Fun in the Cortez City Park ! 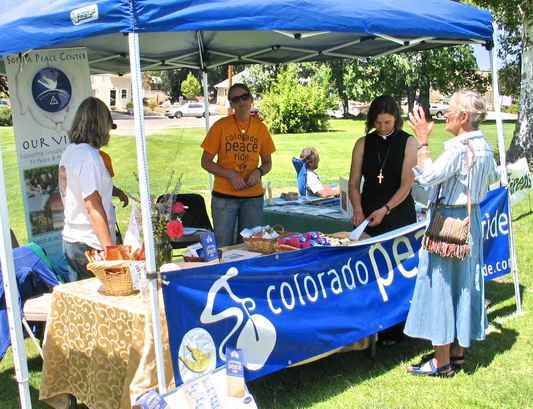 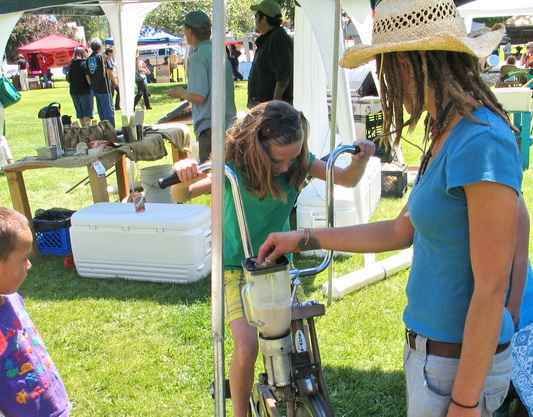 Many, many sustainable product vendors and sustainable cause advocates drew between 750 and 1000 folks to the second annual Verde Fest on Saturday, August 15th for lots of interesting and fun learning experiences. 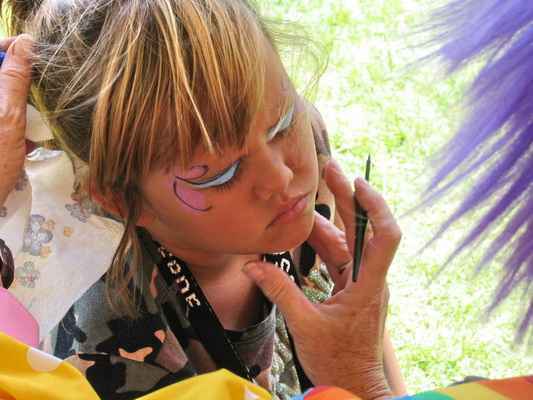 See a visual review in the many photos below. 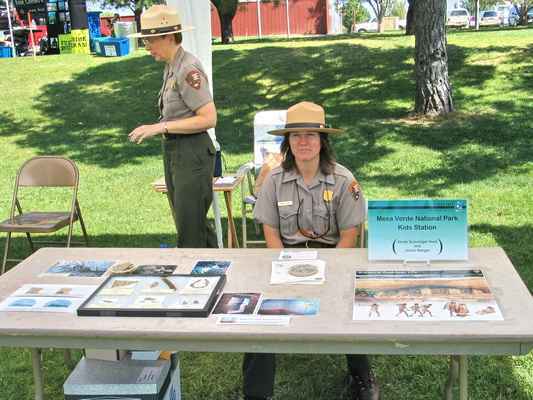 at the Turtle Lake Refuge booth. 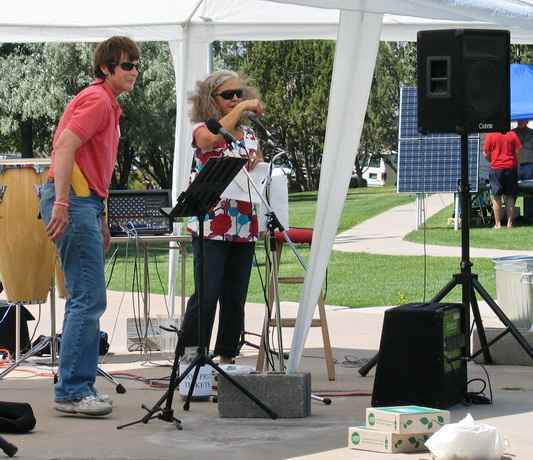 alternative energy like hydrogen transportation and solar power. 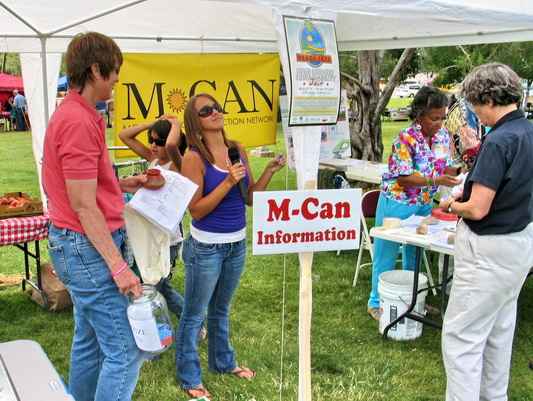 which eventually came directly from the M-CAN booth. 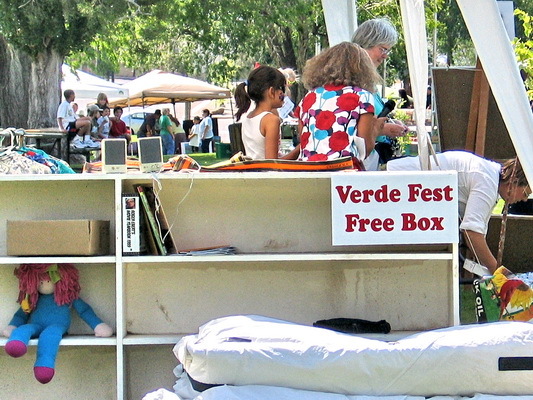 The Verde Fest Free Box emptied quickly. 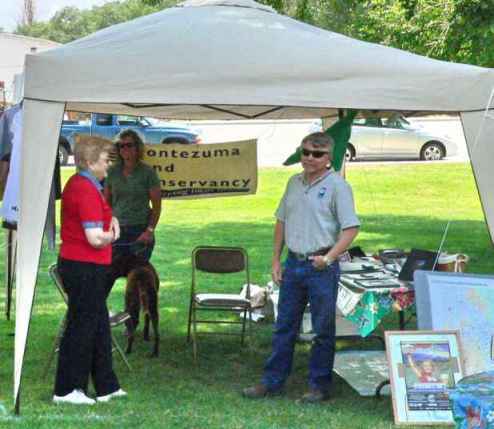 Land preservation was represented by Montezuma Land Conservancy. 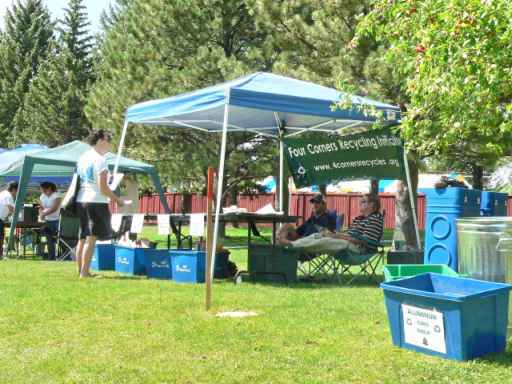 The recycling cause was represented by 4Corners Recycling Initiative. 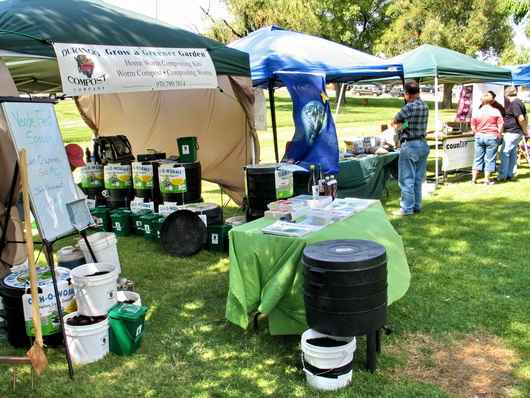 and composting product displays (Durango Compost Co). 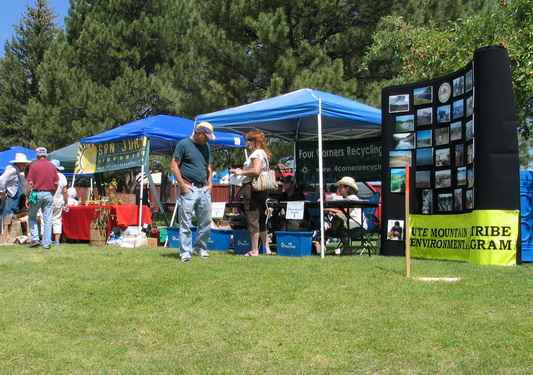 leads this row of exhibitors. 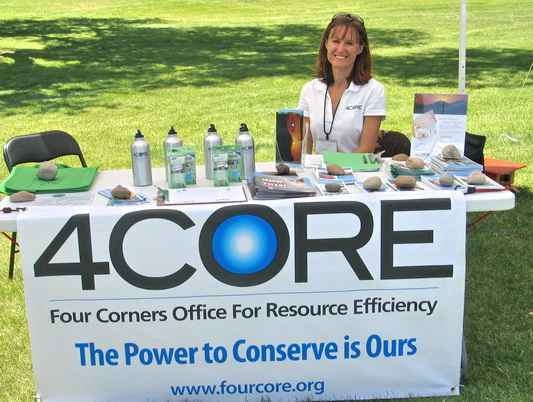 Here the Four Corners Recycling Initiative rubs elbows with the Ute Mountain Environmental Program and San Juan Bioenergy. 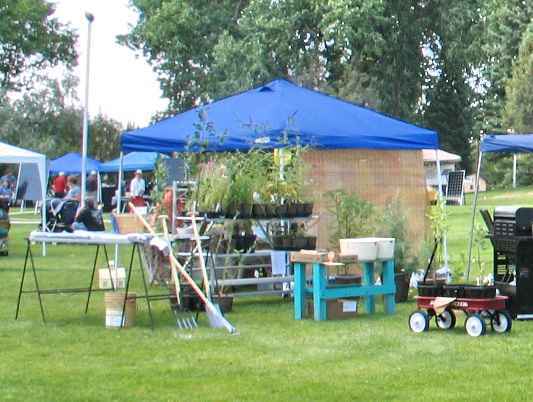 to gardening tools and plants (Let It Grow). 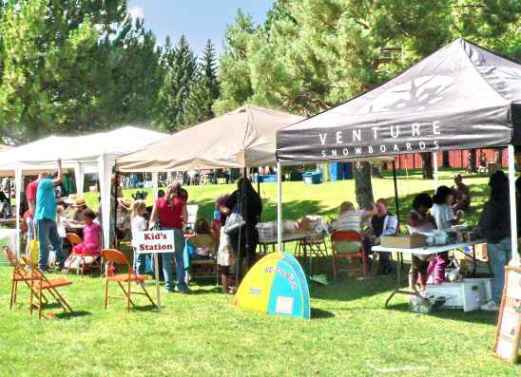 With more than 45 booths, Verde Fest had it all! 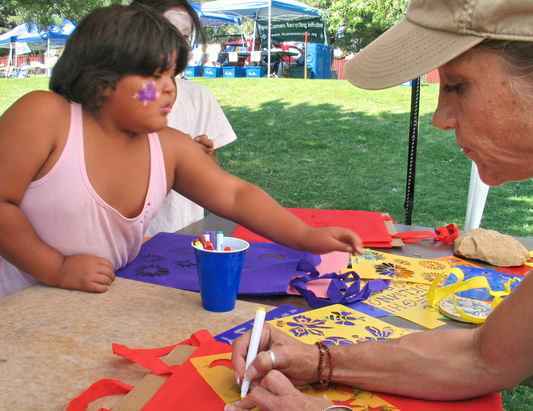 for a great Verde Fest! 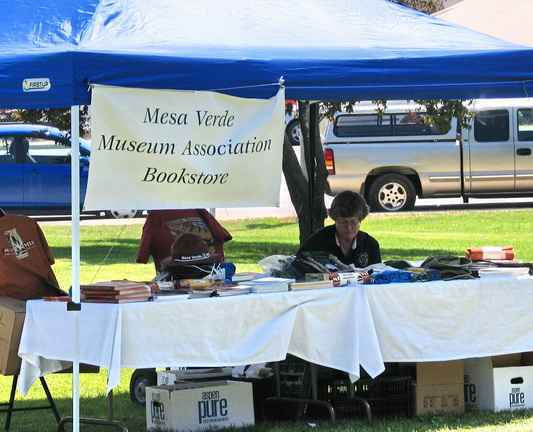 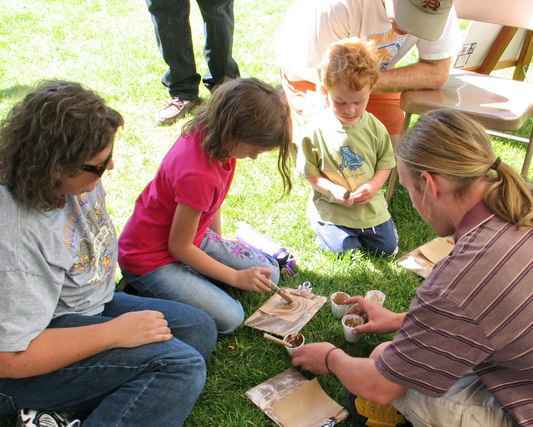 Mesa Verde Museum Assoc., Inc.
What: Exhibitors, speakers, films and workshops and demonstrations. 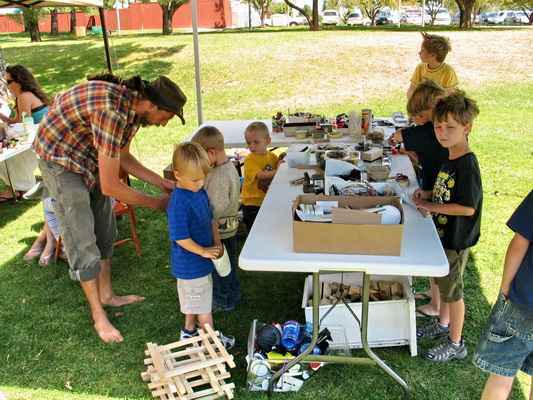 A sustainable, regenerative community is one that preserves and restores the integrity of its natural environment, nurtures healthy human and other living systems, and maintains a vital self-reliant economy, generation after generation. 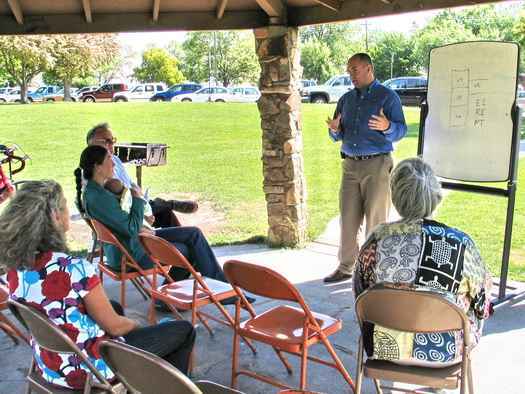 A sustainable, regenerative community meets the basic needs of all people, including the needs for food, water, shelter, health, safety, autonomy, connectedness, and meaning.